When is pain medication management appropriate long term? Home > Blog > When is pain medication management appropriate long term? 19 Oct When is pain medication management appropriate long term? In the current state of affairs with pain management treatment, utilizing chronic opiates for relief has become a hot button issue. There are many instances of overdose fatalities, and doctors who over prescribe for one reason or another. However, what should not be forgotten is that pain medications are often very effective at allowing individuals to continue working, taking care of their kids and participating in recreational activities and exercise. In other words, they’re not always bad and they do have their place in chronic pain management. Let’s go through a few instances where chronic pain medication makes sense. Up to 40% of low back surgeries end up failing. This includes procedures for degenerative disc disease, degenerative scoliosis, other types of degenerative arthritis along with lumbar laminectomy procedures. For some patients, a revision procedure for such things as broken hardware or fractures above or below where the procedure was performed may provide relief. In others, there is no further surgical option. 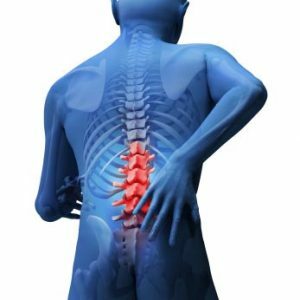 When failed back surgery syndrome occurs, also known as post laminectomy syndrome, this leaves patients in an extremely difficult situation. There are several non-operative options including physical therapy, acupuncture, nerve blocks, alternative treatments and the like. However, chronic pain medications may play a vital role in assisting patients to become more functional and to have a dramatically reduced baseline level of pain. At times, a spinal cord stimulator implant or intrathecal morphine pain pump may be indicated. Otherwise, chronic opiates in conjunction with other treatments may end up being the best option. For those suffering from peripheral or diabetic neuropathy, severe, burning pain in the lower extremities is often the result. The really is no surgical answer for the condition, and no complete cure is available. Medications including Neurontin and other neurogenic medications often do very well for patients. However, low doses of opiates may help relieve some of the pain and allow individuals to be much more active. The same logic applies to those suffering from post herpetic neuralgia or RSD. Obviously, cancer pain is a logical indication for chronic narcotic usage. This may involve pain medications during the acute periods of severe pain, along with end of life palliative measures as well. An additional indication for chronic pain medications would be those suffering from abdominal or pelvic pain where surgery and other measures have failed to provide relief. For instance, significant amounts of women who have undergone a hysterectomy for pelvic pain continue to suffer afterwards. Also, those who have undergone abdominal procedures often suffer from scar tissue related pain. Rational opiate usage may provide excellent relief for these individuals. When you look at the benefits offered in these types of conditions by opiates under the direction of a qualified pain doctor, they are typically very effective. However, there are potential side effects and there will always be patients who misuse and abuse their opiates. 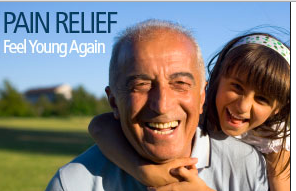 For the top Seattle pain management clinic, call Seattle Pain Relief today at (855) WASH-PAIN. Over 25 treatment options are provided at the center, including options for both medication management and interventional procedures!